Have you encountered difficulties describing what you do to other people? Have you ever labelled yourself in order to be understood? Is there a difference in the way that a generalist and a specialist can stay relevant? If you had to design an approach to education fit for the twenty-first century, what would it look like? How do you live a life of meaning if you live in more than one world? During an era still dominated by hyperspecialism and experts with 'the one right answer', the neo-generalist defies easy classification. They are tricksters who traverse multiple domains, living between categories and labels. Encompassing rather than rejecting, the neo-generalist is both specialist and generalist; a restless multidisciplinarian who is forever learning. The neo-generalist brings together diverse people, synthesising ideas and practice, addressing the big issues that confront us in order to shape a better future. They are curious, responsive, connective. 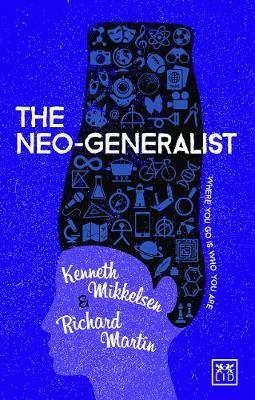 In The Neo-Generalist, Kenneth Mikkelsen and Richard Martin examine what it is like to be in frequent motion on the specialist-generalist continuum. To illustrate their idea, they draw on stories from numerous disciplines and cultures; from business, art, science, education, activism and sport. In so doing, they explore the characteristics and behaviours of individuals who give expression to their neo-generalism, highlighting the social and organizational benefits they enable. These are border-crossing leaders, innovators, creators and explorers who are already stewarding tomorrow's world. Kenneth Mikkelsen is a social philosopher, leadership adviser, learning designer, speaker and writer. He can be found on Twitter as @KenHMikkelsen. Richard Martin is a freelance writer and editor. More details at richardmartinwriter.com.